The Windsor-Essex Community Housing Corporation is one step closer to adding affordable housing units on the city's east end. 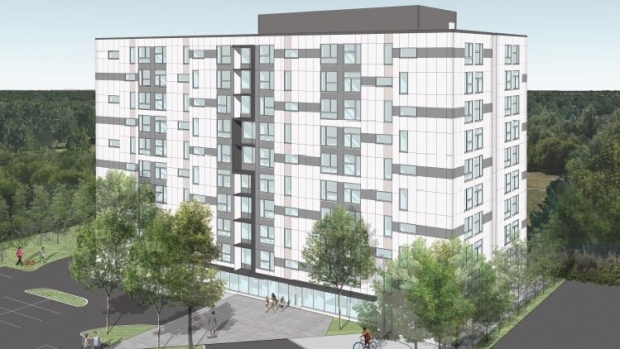 The city’s planning committee has unanimously approved a 145-unit, 10-storey apartment development at 3100 Meadowbrook Lane. The project will consist of mostly one and two-bedroom units and is expected to cost $38-million. Housing Corporation CEO, Jim Steele, says the development is good news for the community on many different levels. “That's a lot of jobs that get created when we build new and renovate buildings,” says Steele. That's good for every community in Windsor-Essex." That is also good news for residents looking for affordable housing. The city has a list of 5,000 people waiting for affordable housing units. The committee heard the number of people waiting for affordable housing has doubled over the past nine years, largely due to Windsor’s hot housing market, which is pricing many people who earn less income out of the market. Officials at the Community Housing Corporation say plans are also in the works to regenerate existing stock -- and tackle more building projects – with a plan coming to councils across the region sometime in 2019. The housing complex will now go before city council for final approval.